Asset recycling could lead to more US infrastructure spending. US Vice President Mike Pence announced the administration’s desire to emulate the Australian model of infrastructure asset recycling as part of President Trump’s US$1 trillion infrastructure plan. Our research shows that good governance is key to making it work in the United States. New South Wales (NSW), a state that has had some success in asset recycling, created an independent agency to oversee its program. The agency is staffed by employees with private sector experience. Senior public figures are on the board to ensure independence. The result has been an asset-recycling program that received high prices for government assets and has prioritised new projects based on cost and impact. Other Australian states have adopted this model, which will be key for the US too. 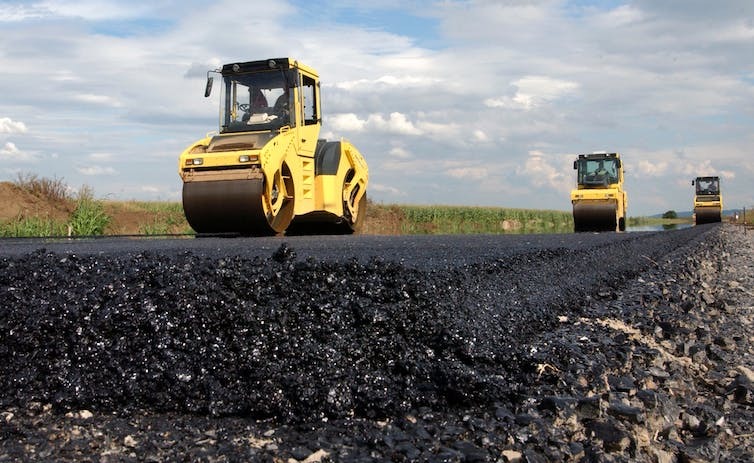 Under an asset-recycling scheme, governments lease existing infrastructure assets to private companies and invest the proceeds in new infrastructure projects. In 2013, the Australian government started a A$5 billion incentive program giving state governments an additional 15% of the capital recycled from existing assets and reinvested in new infrastructure. Between 2013 and 2016, NSW leased about A$15 billion of infrastructure assets to private investors, and allocated about A$6 billion to new projects, without raising additional public debt. Infrastructure asset recycling manages to fund new projects by addressing the mismatch between government infrastructure promises and the goals of private investors. Governments often lack the capital to invest in infrastructure and are worried about rising public debt. The World Economic Forum estimates the gap between infrastructure demand and investment is around US$1 trillion a year globally. Meanwhile, private investors prefer to invest in infrastructure that is already built. These investments have lower risk than building something new, and offer the promise of consistent, inflation-adjusted returns over decades. But the freed-up capital is not really free — governments forgo the future revenues from the leased assets. If the proceeds from privatising the asset are smaller than the future stream of payments forgone, and new projects do not produce revenues, government might need to levy a new tax or cut programs. This is why good governance is key to ensuring the scheme works. Governments need to get the highest price for their assets and build the best projects for the lowest cost. Between 2013 and 2015, NSW leased two ports, a desalination plant and an electricity distribution network for close to A$15 billion. The process was fast and the lease proceeds were high compared to similar deals. This indicates that the bidding process was effective at tapping into investors’ interest. A key point is that the NSW legislature did not directly oversee the asset-recycling scheme. In 2011, the government created an independent statutory body, Infrastructure NSW, to identify and prioritise the delivery of critical public infrastructure in NSW. Infrastructure NSW is made up of specialised units staffed with skilled professionals. One of these manages Restart NSW, the infrastructure fund into which lease proceeds are deposited. Studying Infrastructure NSW, we see a number of reasons for its success. While a relatively small agency, Infrastructure NSW is staffed with employees with private sector experience and has representatives of key ministries on its board. The private sector experience means employees are able to monitor and work effectively with private partners, and the knowledge and information gap between the private sector and the government is low. Its prominent board also means Infrastructure NSW has the power to influence and stand up to the state legislators and administration, with sufficient independence to ensure politicians cannot fund low-priority projects in politically advantageous constituencies. The broad skill set of employees also helps to break down administrative silos and enables an integrated vision of infrastructure. The importance of these characteristics aligns with results from research on other state-owned investment funds. And the NSW model has been copied. Infrastructure Victoria, Building Queensland and Infrastructure Tasmania were all created in 2015 with similar characteristics to Infrastructure NSW. These agencies are independent from government, have an integrated vision for infrastructure, and private sector members sit on their boards. The use of public-private partnerships in infrastructure service delivery is increasing in the US, but has not reached anywhere near the scale of Australia or Canada. Many US states still lack the legislation, processes and structure to manage it effectively. Another challenge for the US is identifying new projects with a sustainable source of funding. This is what makes asset recycling appealing for the private sector. Considerable infrastructure governance and planning efforts are needed at the state level to make a success of asset recycling in the US. A federal initiative along the lines of the Australian government’s incentive program would afford states the opportunity to share their experience and work toward more unified legislation and procurement processes. In Australia, asset recycling came with the creation of independent agencies and state infrastructure funds. If it wishes to follow Australia down the asset-recycling path, the US should also consider these kinds of governance to equip states with an integrated vision for infrastructure development, and the capabilities to work more effectively with the private sector.